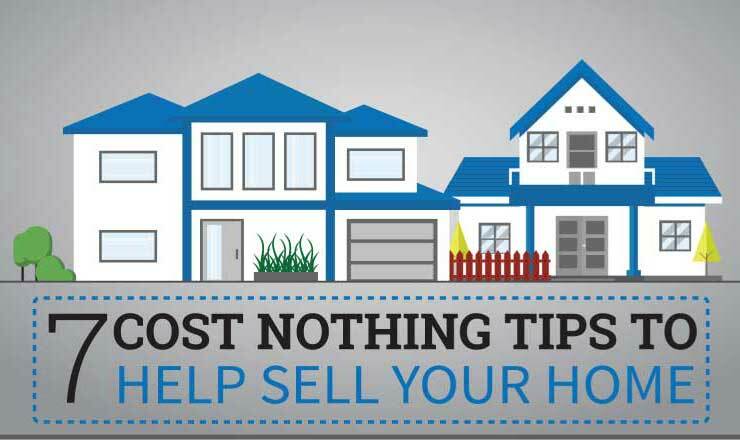 Below you will find 7 – Cost Nothing Tips to Sell Your Home Faster! For those selling in competitive markets, like the homes in Almeria and Costa Calida, it makes even more sense to pay attention to the tips below that will help you put a sold sign in your garden. There are common mistakes sellers make and these tips are a low risk way to ensure your home sells fast. One of the first things you should do, and it should go without saying, is clean. Cleaning your home so that it presents at its absolute best is extremely important for anyone who wants to sell their home fast and for top money, it’s also one of the least expensive home improvements you will find. Dusting, organizing, and if you must, find storage to move all of your stuff into. Your home should be clean and for those with a lot of stuff you must find storage and open the rooms. Decluttering is different from cleaning yet it adds to the cleanliness of the home and opens it up as well. A home can feel clean when there is less clutter. Some of the bigger mistakes sellers make is leaving things all over the kitchen counters and tables. Buyers want to see the countertops without having to fight through this weeks morning papers and magazines. The less clutter in your home the better chance you have of getting it sold fast. Cleaning, organizing and removing unnecessary items in the house is going to cost you nothing. It will also add to the value of the home and help it sell faster than it would otherwise. Anything that personalizes your home needs to be removed, or changed. For instance, if you have pictures of your family you should take them down. It’s harder for someone to imagine themselves living there if they’re looking at pictures of you and your family. Anything religious should be removed as well because not everyone is religious or is the same religion as you. It’s pretty easy to depersonalize your house, and it’s going to cost you nothing to do it. The results will be beneficial to getting your home sold faster and maintaining its value. Other ways you can depersonalize your house that may cost you little to no money, and improve the value, is paint. If some of your walls are not neutral colours, or have marks that show signs of wear and tear, you may want to consider investing a little money in neutral colour paints. Buyers don’t typically love the pink bathroom look, or the orange kitchen. Even if you do, not everyone does. Go neutral, stay safe, and appeal to the maximum number of buyers with your colour choices. Ask your local Real Estate Agent if you have any questions about colours because there is a good chance they know what colours are selling faster. Aside from ‘staging’ the home, you can simply arrange the furniture in a way that opens the room and is more inviting to buyers. You don’t necessarily need the furniture in the exact place that you have it already and rearranging furniture can help you sell the house. If you have one couch facing the television, yet it’s completely in the way of walking from one room to the other you’ll want to arrange it in a different way. This goes for the furniture outside of your home as well. Whether it’s a front porch, a deck, or a pool and patio you want to arrange the furniture so that it is more presenting. If you have a large family maybe you don’t want 6 pool chairs outside, maybe two will do and you can move the other two into storage. This will open up the pool area so that it seems larger. Obviously this is a minute detail however these details add up to big time impacts for buyers! Your once chance to make a first impression is how your home presents when buyers drive up to it. That’s why landscaping is one of the best things you can do to help sell your home faster. By ensuring the house exterior is clean and organized your home will sell faster and for more money. There shouldn’t be items laying around in the front, side, or garden. No matter what part of the country you’re in you need to pay attention to the exterior of your home and its appearance, you know buyers will! If there are a bunch of leaves and sticks in the garden, you must clean it. Additionally, there could be trees leaning towards the house, or close enough that it may scare buyers. Depending on the area you live it may make sense to either remove the tree or let buyers know you will remove it if that is a concern. Some of the buyers that see large trees in the backyard will mention it as a concern and some won’t. It’s something to consider. While landscaping may not be a make or break for all buyers, it certainly will help your house sell. The way your home presents is important, just as if you were a buyer, you would want the home to present well. One great article and analogy I read was to pretend your home is going on a date. To me that title alone makes a lot of sense. If you’re going on a first date with the girl from the coffee shop that you have a crush on you’re going to want to look your absolute best. There are definitely things you can do to your home so that it will present better from the way it looks to the way it smells. A lot of people have recommended baking cookies yet studies have shown that white tea and figs are the best smells for selling modern and new construction homes, while baked bread and coffee are better options for traditional and older homes. One thing you can be sure of is that a buyer is not going to want the home if it smells bad so at the very least you need to make sure the aroma inside the house is pleasant. Open the closets, make the entrance extra inviting, remove the personal items, and definitely remove all signs of pets. Selling a home with kids is challenging, and selling a home with pets can be even harder. The best thing to do if you’re selling a home with pets is to make sure there is absolutely no way of knowing a pet lives there. One turn off for buyers is the smell of cats, dogs, and any other pets you may have at home. You will want to remove all signs of odours and stains your pets have caused. If there is any damage that they may have caused you’ll want to be sure you fix it. A lot of Real Estate Agents will recommend you move the pets from your home before the showings. Did you know you are liable for your pet’s actions while potential buyers are inside your home? Be sure everyone is safe and they you take appropriate precautions. If you have additional questions about selling your home with pets please refer to this article by Bill Gassett of MaxRealEstateExposure.com. The Sale is in the DETAILS! There are a lot of things you can do to help your home sell faster and for more money. Pretend you are a buyer and pay special attention to all of the details inside your house. When walking around your home, before listing it for sale, look for every reason why someone wouldn’t want to buy your home. If you have even the slightest feeling that if you change something your home may show better, do it. When you are extremely detailed buyers will appreciate it, and the results will show in the purchase price and number of days on market. There are selling strategies in real estate and if followed/implemented correctly will give big returns. While these tips are a great way to help sell your home there is nothing better than professionally marketing your estate. Selling homes is not as easy as people think, and many don’t receive the right amount of eyeballs, simply because they were not marketed correctly. If you’re going to spend money anywhere on the sale of your home make sure it’s on the way your market the property online to generate as much traffic as you can. There’s a lot you can do to sell your home yourself however you’ll not only save more money working with a Real Estate Agent, you’ll have someone guiding you through the process the entire way. These tips cost sellers nothing, and they improve the probability the home will sell fast. These are tips that should be shared with every seller so that they’re aware of what they can do to help themselves sell their house!